- Viktor E Frankl, Man’s Search of Meaning. Liverpool will host Chelsea at Anfield on Sunday. 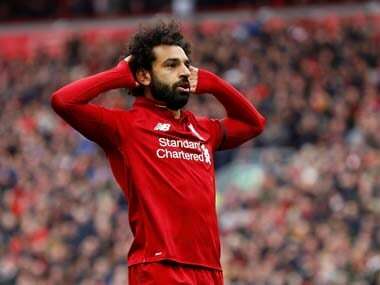 Unfortunately, the build-up to one of the title-race-defining matches at the toe-end of the Premier League season has been stubbed by racial slur directed at former Chelsea player and current Liverpool icon, Mohamed Salah, in the shape of Islamophobic bomber chants. To call the people who initiated the abuse football fans, nevermind Chelsea fans, would be doing them kindness, for the principles of football and racism does not logically comply. In the pre-match press conference, Jurgen Klopp delivered a well-worded critique: “It was disgusting. We should not see it as a Chelsea problem, or a Liverpool problem, but the underlying signs of things going wrong out there in the world. Only a small minority is doing but, the response needs to be proper. The stronger the reaction is from all of us the more it will dissuade this kind of behaviour. If you do things like that, you shouldn't be allowed into the stadium ever again. Football stadiums are society’s petri dish. 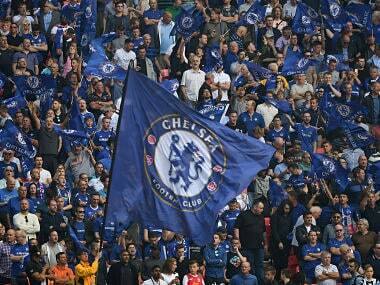 While the tenets of club football are held up by sentiments of ‘us against them,’ a line should be drawn. Observe it keenly enough and patterns and inferences can be drawn that are not dissimilar to the state of politics and prejudice occurring freely in the world. The role of the football manager is becoming ever-complex, more important as they find themselves in the position as preachers to address concerns and values of inclusion, togetherness and tolerance to their legions of fans. "I'm a football manager and it's beyond my scope for comment on what else goes around the world," admitted Klopp. “Yet, football is the best example of how different people from different walks of life can work together brilliantly. Go to any football dressing room in most parts of the world and you'll find people of different races sitting together, having lunch, telling jokes, talking about their children, and nobody there cares where you come from, who your parents were. It's never an issue." However, as Chelsea manager Maurizio Sarri has realised, the prejudice in Britain does not limit itself to skin colour or ethnicity, but also culture. Hungarian comedian George Mikes when visiting England was encouraged by comments of him being “clever,” only to later find out that the word centuries worth of negative connotations. “The word ‘clever’ is used in the sense: shrewd, furtive, surreptitious, treacherous, sneaking, crafty, un-English. In England it is bad manners to be clever,” he explained in his book How to be an Alien. Cutting a frustrated figure on the sidelines Sarri embodied the teeth-grinding patience of a fuming night-manager of a New York taxi garage, whom those under and beside him undermine without a second thought. That ‘free-thinking was malignant and undesirable’ and individuality of methods was looked down upon since the time of Dr. Edmond Warre, grandmaster at Eton during the formative years of Britain’s education system during the 1900s. This was directed by the monarchy which needed subjects, not savants. Continental qualities and methods were seen as ‘contemptible vices’ and outsiders deserved ‘neither quarter nor compassion,’ wrote Reverend G.S.S. Vidal. Thick-spectacled Sarri, accused of book-learning, refusing to play the ego-game and curry favour in the press like many others before him, offends so many of England’s deep-rooted, misplaced anxieties, with his unconventional approach to football and life. A free-thinker like Sarri has been seen with suspicion and cynicism and called a fraud until recently. 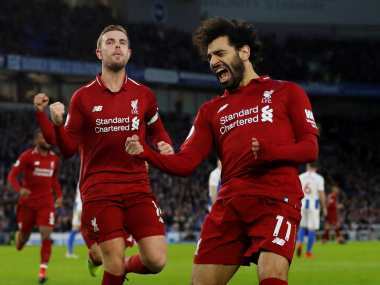 Yet, since January Chelsea have lost only once, scored 27 and conceded 3 goals and have exceeded expectation to be third in a historic, record-breaking Premier League season overall. His commitment to development and tactics align with Chelsea’s need of the hour, having been hit with a transfer ban. Ironically, he’s the best manager for the job. He is also the same man under whom Eden Hazard is having his best season on and off the ball. Chelsea’s man to watch out on the night, Eden Hazard, perhaps unbeknown to the offenders, is not only one of Mohamed Salah’s best friends, but a fellow Muslim. Both have been instrumental in their sides run of form, with 26 ‘big’ goal-scoring chances created in the league between them. Both of them are here on merit, but it is Mohamed Salah who gets picked on more perhaps because he appears more Muslim. While Eden Hazard, sadly but wisely, has made a more conscious effort to hide his religion by not dropping to his knees and making Stamford Bridge his prayer mat after every goal. 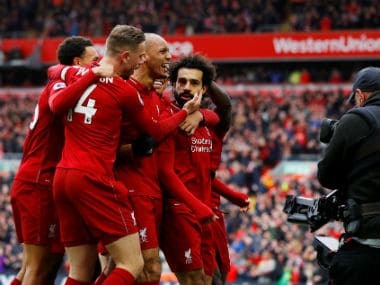 In the title race, favourites for the Champions League semi-finals, 1 loss in 33 games, beating PSG, Bayern, Napoli, with two domestic golden boot contenders, there will come a point when the penny drops, and instead of being unsure, flabbergasted, or cynical Liverpool fans will start believing that they do really deserve this team, and whatever they elicit and vice versa. Klopp already feels the difference: “There has been a massive change: from being surprised that we are up there to getting used to it and gaining more confidence. It's all a process, a big one. We feel like one group, 100 percent with the supporters. We want to do it for all of us, we want to try with all our heart to keep this dream alive. We don't ignore the pressure, we try to use by what we do on the pitch. Whatever be the result on the night, Liverpool have a lot to be proud of. And one of those things undoubtedly is the fact that they have Salah running down the wings for them with a Lyverbird on his chest. And the feeling is mutual.